I have had some mighty fine times in my privileged life as an automotive journalist-adventurer. The most exotic, the most memorable, have involved long distances in priceless vintage cars, often in faraway places: Driving the weeklong Pan Pacific Rally across New Zealand’s North Island in a 1916 Benz open touring car from the factory museum. 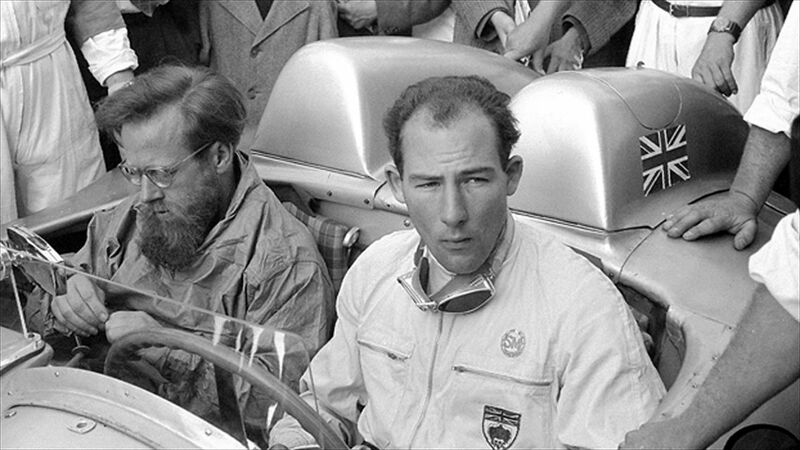 Driving 2,000 miles with Sir Stirling Moss in a 1965 MGB from London to Cortina D’Ampezzo in Italy via the Nurburgring, the Hockenheimring, and every famous mountain pass in between. I returned to Italy today to “race” in the famed Mille Miglia as a guest of Mercedes Benz, co-driving with the boss of U.S. operations, Steve Cannon. That sentence doesn’t quite convey the enormity of my good fortune. It really should have exclamation points. 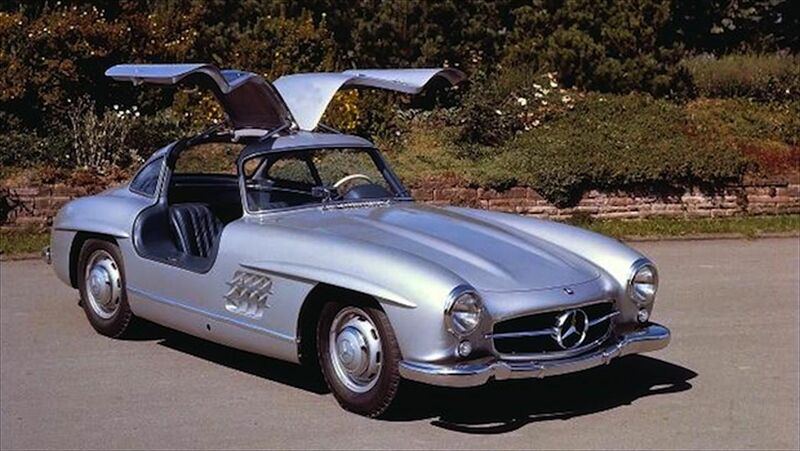 We’ll be driving a 1955 300SL Gullwing!!! 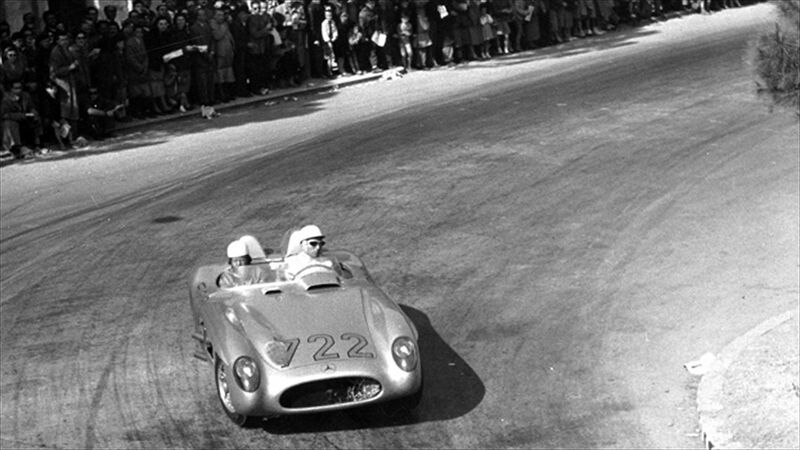 It’s the same year as the car in which Sir Stirling and navigating journalist Denis Jenkinson made history, setting a blistering pace that has never been repeated. 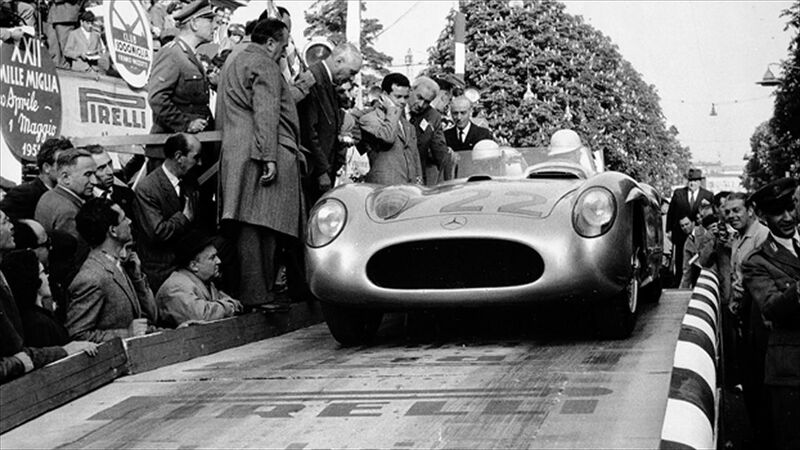 They covered the 998-mile course in ten hours, seven minutes, and forty-eight seconds, averaging 98.5 mph. The weather was perfect, the car was perfect, and the two spent only two and a half minutes during the entire race refueling. I am not new to the original Gullwing, having driven (you may have just read about it here) across country from Massachusetts to Monterey back in the 1980s. The party is about to get started, but it’s been revving for weeks. 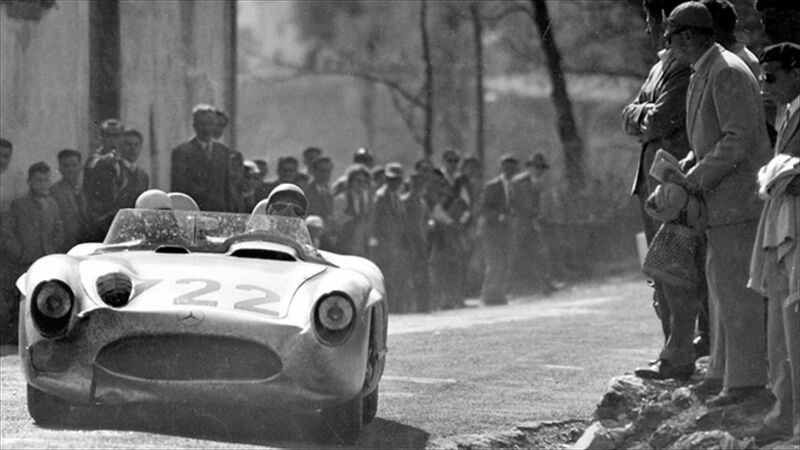 Roger Penske sent a quick e-mail saying that he, too, would be in a 1955 300SL and close to us in the pack of 375 cars. (We are car #303.) His co-driver will be Mario Illien, of Ilmor race engineering fame. Don Rose, of the prestigious RM Auctions, will be here, as will be the always sartorially splendid Donald Osborne, a collector and concours judge who also sang opera. At the Met. As you might imagine, the locals like cheering for Italian cars and drivers, but there is a lot to be said for being part of the team sponsoring fifteen cars as well as the entire event. Mercedes has an army on the ground, spiffy as hell in team jeans and polos decorated with the distinctive blue/red/yellow plaid of the old 300SL upholstery. My teammates include the editors of Auto Zeitung, Vanity Fair Italy, and old compatriot Car and Driver editor Eddie Alterman. We are all decked out in matching team polos, hats, sweaters, and jackets. 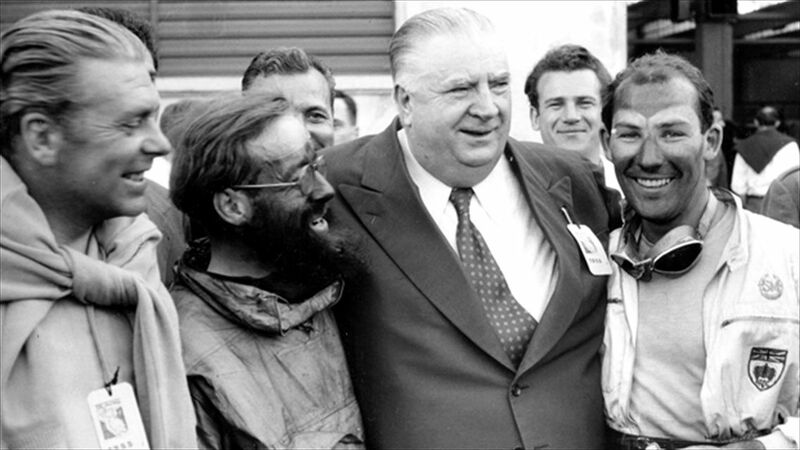 It’s interesting to note that the Mercedes team is packed with racing drivers, from champion sports-car drivers Marcel Tiemann (five-time winner of the 24 hours of Nurburgring) and Bernd Maylander (DTM and FIA GT World Championships), to old Formula 1 drivers Jochen Mass, David Coulthard, and Karl Wendlinger. The Jag team takes it much less seriously, packing their roster with a different kind of celebrity: fashionista Yasmin Le Bon, global supermodel David Gandy, German actress Hannah Herzsprung, Salvatore Ferragamo, Jr., and Daniel Day-Lewis, who will co-drive with the head of 20th Century Fox. You can peruse the entire, massive provisional list of participants here. I am here, the sun is shining, and I’m about to head to the Fiera di Brescia, where the cars are gathering for technical checks. 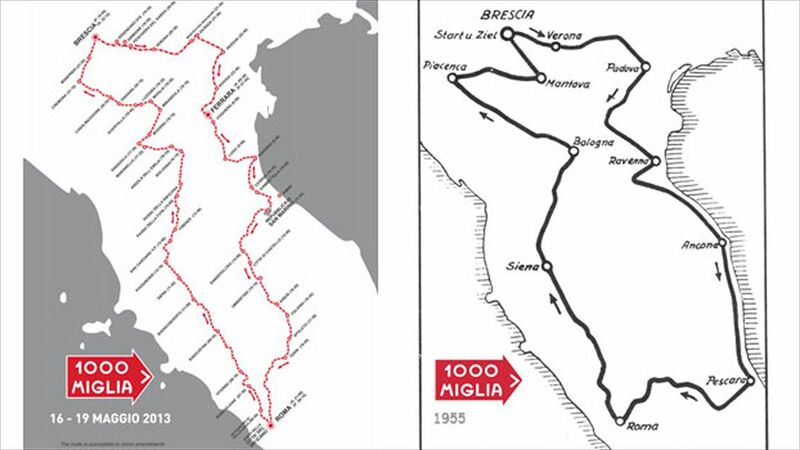 On the official event schedule is “Holy Mass at Duomo Vecchio in Piazza Paolo VI” at 5 p.m., and “blessing of a selected number of cars representing the Mille Miglia” tomorrow at 11:30 a.m. Can’t help thinking that this looks like another good reason to be attached to an Italian team. Stay tuned to Automobilemag.com and JeanKnowsCars.com for my sporadic reports in photos of the fabulous week ahead!